The X-Files showed that classic TV shows being brought back with a new lease of life but part of the old continuity can work effectively. What I liked about Season 10 of The X-Files is that it wasn’t a remake or a reboot but recognised that fans had placed almost ten years of their TV watching lives into the show and that this would acknowledge and build upon that. It also got me thinking back to other shows that could do with the same treatment and here it is: A list of five (technically six) shows I would welcome a return back to our screens, but as a revival, not a remake/reboot. The time-travelling show starring Scott Bakula is over-due a reconsider and revival. It was top quality science-fiction drama when it first aired and when you catch the repeats now, it still holds up regardless of some of it’s dated effects. The story could easily be picked back up with Bakula’s Sam still lost in time, leaping from event to event. We could follow his leaps once more or follow a new leaper, maybe someone trying to find and bring back the original show’s hero. The update in effects and the many new events which any leaper could try to change or find themselves trapped in, means that this show could still work effectively today and if you link it back to the original, would have a host of fans ready to watch. Rumours of a remake/revival starring Will Smith’s son Jaden have circulated for a while but I wouldn’t go down that route necessarily. I would still keep the same concept of the original sitcom, this time having Alfonso Ribiero’s Carlton playing the Uncle Phil role and the son of Will Smith’s character from the original (not necessarily Jaden) being the streetwise kid who has to stay in Bel-Air. There is a lot you can still do with this concept and if you update what is now a very dated show to rewatch, you could have a lot of fun with both the fish out of water dynamic and the culture clash. It would also be naturally different because Ribiero’s Carlton would never be as scary as the late James Avery’s Uncle Phil so would have to do the “parenting” in a different manner. 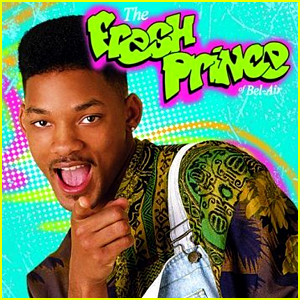 Add in a cameo from the original Fresh Prince and you’d at least get a winner with the pilot episode. The film did a decent enough job but didn’t exactly ignite the desire for a franchise so The A-Team seems to have been forgotten once again. That means it could be a perfect time to bring back the concept but with a brand new team. Nobody wants to see four people trying to recreate the classic characters. Instead have a team of mercenaries but this time with new traits. We live in a world where technology plays such an integral part so at least one of the four would have to be an expert in that but there is plenty of other new characters we could build and develop. This would be a revival too so cameos from the (surviving) original team would help push the popularity of the show. Mr T is not exactly snowed under with work so he could even be a recurring character, the “wise old mentor” or something similar. I placed these two shows together because they have such similar concepts. Both shows were about kids dealing with the strange, supernatural and downright weird. Eerie, Indiana dealt a lot more with the scary and horrific, from werewolves to dream-invading monsters while Round the Twist was much more light-hearted but no less bizarre. A new show would do little different but just update the concept. Round the Twist could still be set in the original show’s lighthouse and follow the strange adventures of the Twist family, this time with the original show’s kids in the adult roles. This one is for the UK readers. Grange Hill was a classic show from my childhood and considering it ran from 1978, a lot of other people’s childhoods too. It followed the events and lives of kids at a standard school in England, Grange Hill, and covered some very mature topics considering it’s intended audience. It seems that now would be as good as time as ever to update and revive the series. This wouldn’t need to be a reboot or a remake but a reopening of the famous school. Kids have to deal with brand new issues that Grange Hill never had the chance to cover, issues that may not have existed back in 2008 when it was eventually cancelled. It was also a very good conduit to get across serious messages and teach decent lessons in life without feeling like it was being preachy. A return seems like an obvious choice. Overall, these five shows would work as a revival rather than a comeback and could easily do what The X-Files has managed, remain faithful but breathe life into a long-dead series. If you have any ideas of ones I’ve missed, let me know. Round the Twist was bizarre TV! Next Next post: Is making movies into TV shows a good idea?